David Stringer Physiotherapy is one of the leading physiotherapy practices in the Leeds area. Specialising in all areas of physiotherapy from sports injuries and back pain to sciatica and postural problems, the practice was founded by David Stringer, a lead physiotherapist at the clinic with over 16 years of experience in the treatment and rehabilitation of sporting injuries. 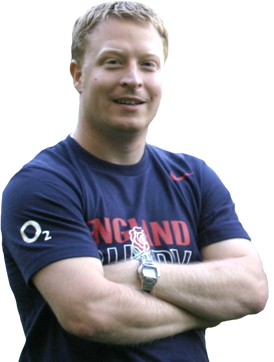 An impressive career in physiotherapy has seen David work with; Leeds Carnegie RUFC, Leeds Rhinos RLFC, NEC Harlequins RUFC and as a physio at the London 2012 Olympic Games, 2002 Commonwealth Games in Manchester and the 2014 Commonwealth Games in Glasgow. For eight consecutive seasons David has also worked as a physiotherapist for the England Rugby Union Elite Medical Department, where he has worked with both the England first team, England Saxons and England Rugby Sevens squads and he has also spent time touring with the England under 18s squad in South Africa. David Stringer established himself in the private physiotherapy sector in 2006, opening his first treatment centre in Leeds two years later. Due to an increase in demand for his services, David opened up a new treatment centre on the Otley Road, Adel, North Leeds in 2016. Now the founder of one of the leading Leeds physiotherapy practices, David is committed to delivering impeccable standards of treatment and service, and in 2009 completed an MSc in Sport Injury at the University of Sheffield. In 2013, David was asked to join the teaching faculty for the Rugby Football League's Immediate Medical Management and is an examiner on the Field of Play Course.